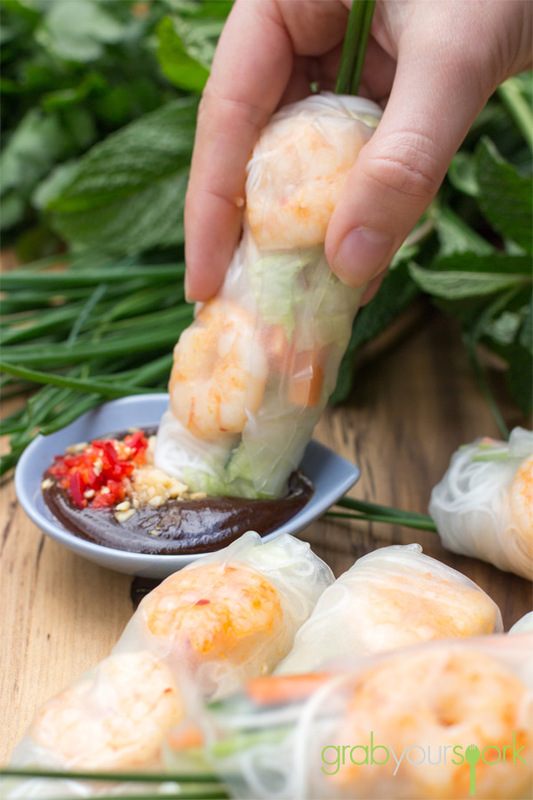 These homemade Prawn Rice Paper Rolls with Hoisin Dipping Sauce are one of my favourite go to recipes for summer! With the weather warming up here in Melbourne (finally! ), Brooke and I thought it would be great to share with you how easy and adaptable rice paper rolls can be. Other variations of rice paper rolls on the blog are our chicken vietnamese rice paper rolls and our vegetarian rice paper rolls both equally simple and tasty. 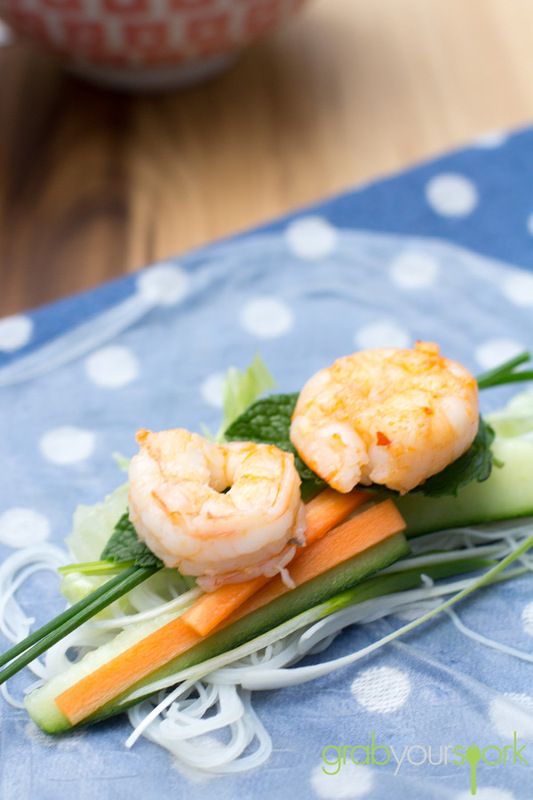 For this recipe we have used some Queensland prawns which we bought at the South Melbourne Markets on our usual Sunday shop. Giving them a quick clean and cutting the larger prawns in half, Brooke cooked the prawns in a little fresh chilli and garlic for an extra kick. However, the prawns can be left plain letting their natural sweetness come through. For those of you who haven’t made homemade rice paper rolls before, they are actually quite easy once you have made them a few times. The trick is to making sure you have all your ingredients prepared before you start assembling. 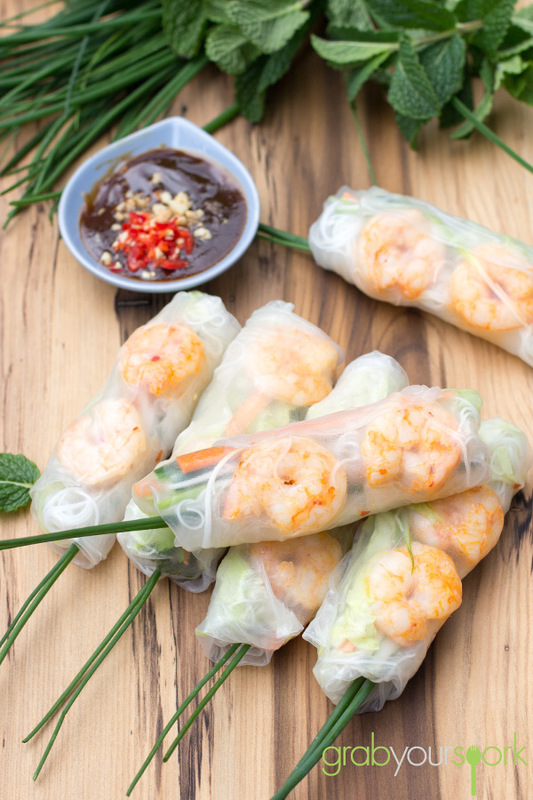 Now depending on the brand of rice paper wrappers you buy, they can be a little fiddly to make, if you accidentally rip the rice paper when trying to roll them, don’t stress – these are simply the “taste testers”. When assembling the rolls, the key is to not over-fill and leave enough room around the sides of the rice paper for folding and rolling. Once you have done a couple you will master your own “tuck and roll” technique. Homemade Prawn Rice Paper Rolls with Hoisin Dipping Sauce. When you’re ready to assemble the rolls, fill a shallow dish with warm water. Dip one rice paper wrapper into the water for 15-20 seconds and place on a clean flat surface. Fill the rolls: Place a few sticks of carrot, cucumber, spring onion, and small amount of lettuce on top of the bottom ⅓ of the rice paper. Then, a small amount of noodles (if using), a selection of herbs and two prawns. Remember, do not overfill the roll. Start small then add more if needed. To roll: Tuck over each side, then pull the bottom of the roll and roll over the filling, remembering to roll and use your hands to tuck the filling as you go. Repeat with the remaining rice paper wrappers and filling. 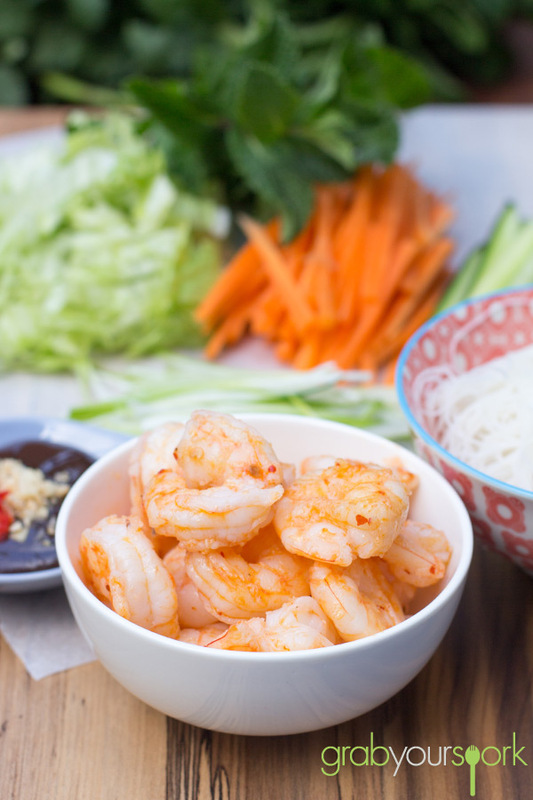 Serve the spring rolls whole, or sliced in half with a Hoisin Dipping Sauce.